Ever since, the demonetization of higher valued Indian currency notes Rs. 500 and Rs. 1000 implemented from 2016, people across the nation facing lots of trouble particularly who has the black money in hand. With all the doors locked, people who have black money in hand has no other way to depositing those to their respective bank accounts. 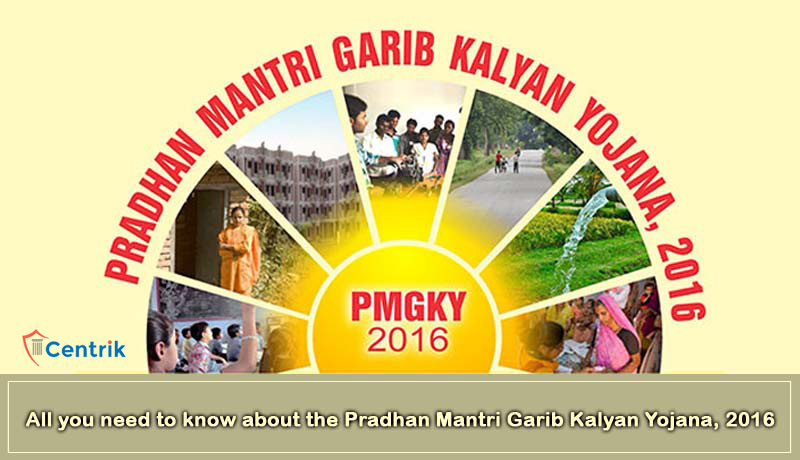 Pradhan Mantri Garib Kalyan Yojana 2016 (PMGKY) is one of the scheme to offers workshop for the poor families across the nation. The main motive of the scheme is to get rid of the term poverty from the India by providing effective workshop which teach them to earn from the skill. Under this scheme people who are likely to deposit their black money needs to pay 30% of tax amount and also the excess of 33% surcharge amount called (PMGK) cess. The income declared under it, will not be included in the total income of the declarant under the Income-tax (IT) Act for any assessment year. In addition to the burden, the finance minister also quoted that about 25% of the undisclosed income should be deposited under the PMGK Yojana for the 4 years without any interest rates. Besides, declarations made under it will be kept confidential and shall not be admissible as evidence under any Act. However, declarant will have no immunity under Criminal Acts mentioned in section 199-O of the Scheme. The taxation policies in the year 2016 have made a revolution and the people with lot of unaccounted money have to suffer for it. The decision is a step towards the development of the nation and equal distribution of income among every people of this nation.